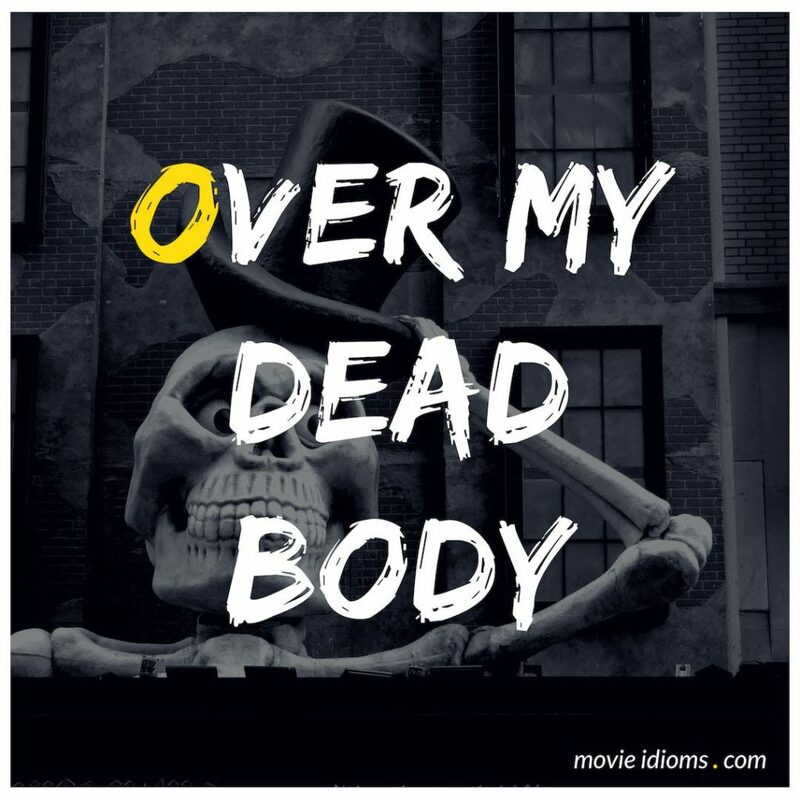 What does over my dead body mean? Mr. Boddy: You lockin’ me in? I’ll take the key. Wadsworth: Over my dead body, sir. Dark Superman: You know, Metropolis is doing just fine without you. Superman: I’m not sure I approve of your methods. Dark Superman: I’m not asking for your approval. Get this straight, you’re not needed here. Metropolis is under my protection, now and forever. Superman: Over my dead body. Greedo: Jabba’s put a price on your head so large every bounty hunter in the galaxy will be looking for you. I’m lucky I found you first. Han Solo: Yeah, but this time I’ve got the money. Greedo: Jabba’s through with you! He has no use for smugglers who drop their shipments at the first sign of an Imperial cruiser. Han Solo: Even I get boarded sometimes. Do you think I had a choice? Greedo: You can tell that to Jabba. At best, he may only take your ship.